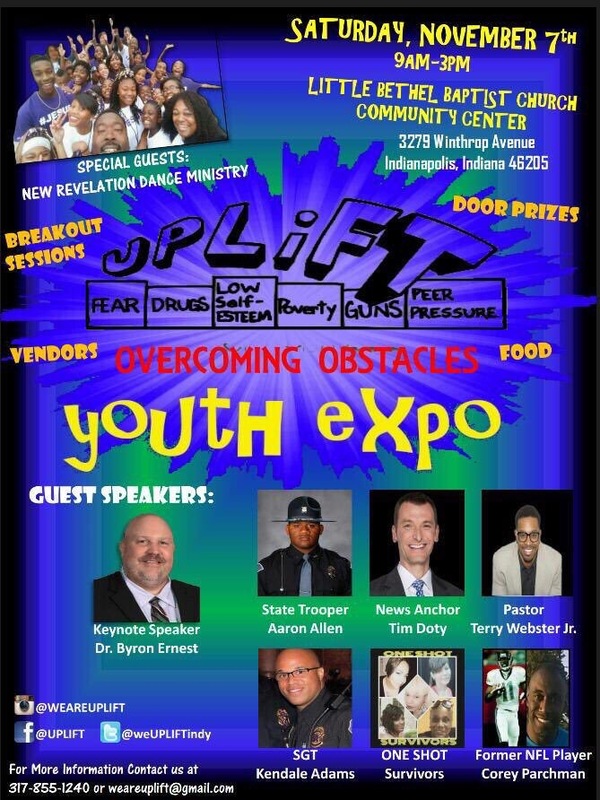 Later today I will be speaking at the Overcoming Obstacles Youth Expo. This expo is being put on by Uplift Indy. I love the title, “Overcoming Obstacles.” That’s really what it is all about. I will be closing out the day and will tie it all together by working with the youth on around the idea of “Being Prepared For What You Don’t Know You Need To Be Prepared For.” Isn’t that what obstacles are? Things we are not prepared for. But really, we have some tools already in our toolbox for being prepared and just need to think through how we get the rest. I can’t wait to spend time with these kids today! I will post my comments and thoughts from the day when the expo ends today.